We Bring The Party wants to make your next party truly incredible. We offer a range of event services and rentals, including party DJs, waterslide rentals, outdoor movie screens, and more. 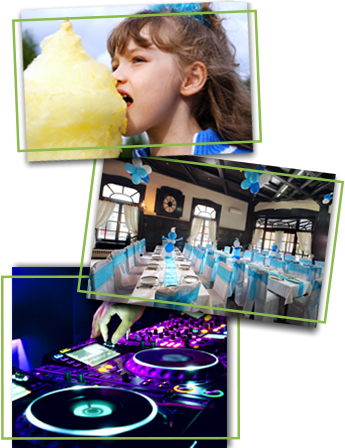 Our Houston, Texas, company works hard to make our client's parties amazing, and we cannot wait to serve you. If you're in need of something a little heartier than cotton candy, you may want to look into our event catering. Our DJs are the perfect way to get your next party bouncing. They bring all of their own equipment, and can create personalized music playlists to meet your needs. Our rate for our DJ services is $75 an hour with a three-hour minimum. Let us know in advance what genre of music you prefer, and we'll take care of the rest.